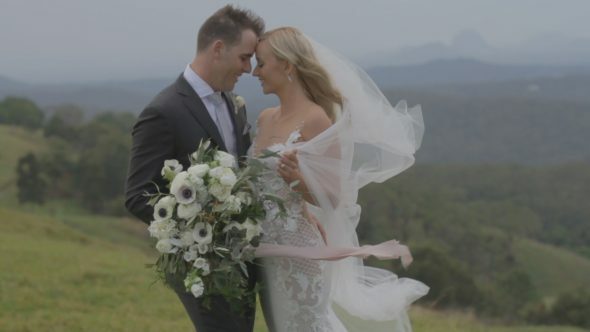 On the 3rd of October 2016 Wild Bunch Weddings had the absolute pleasure of filming Bec and Robs Wedding day at the stunning Spicers Clovelly Estate. Today we bring to you their wedding day highlights. We started filming at Bec and Robs ceremony. 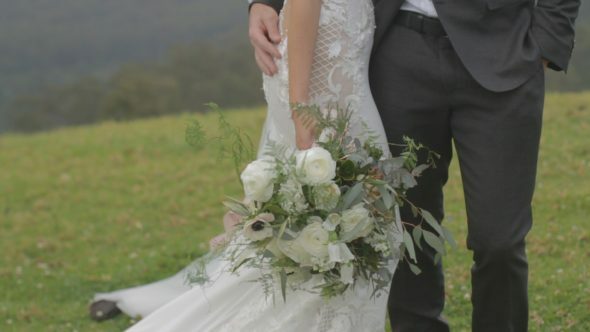 Nestled amongst the stunning views of Spicers Clovelly Estate in the sunshine coast some of the regions best vendors were hired to create Bec and Robs visions. Stunning flowers from Mondo Floral, venue decorated by Love Bird Weddings, hair done by Evalyn Parson Hair and Make up by Natalie Hunter. Bec stepped out in style in her stunning Mxm Couture dress and made her way down the isle where Rob was waiting. In a elegant ceremony led by Jarrad Bayliss Bec and Rob said their I do’s and sealed the deal with a kiss. Not even the rain put a damper on this amazing day. With cheers all round from family and friends and some family photos taken it was time to head off with the lovely Calli B Photography and create some special memories for this beautiful couple around some of the most picturesque locations. Bec and Rob entered their stunning reception also styled by Love Bird Weddings and celebrated into the night with their family and friends. Congratulations Bec and Rob again and Wild Bunch Weddings wishes you the very best in your married life.